A new initiative by the Ministry of Agriculture ensures more of the food served to patients at Interior Health facilities is from British Columbia. Feed BC is increasing the institutional procurement of food grown, harvested or processed by B.C. farmers, fishers and processors. 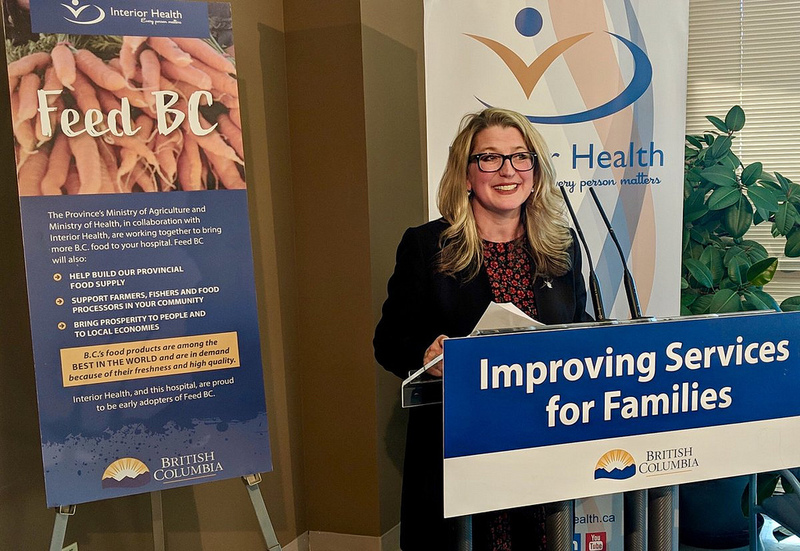 Popham was joined by representatives of Interior Health, Sysco Canada-Kelowna and local farmers for a tour of the Penticton Regional Hospital’s regional production kitchen, where they announced the new initiative that will increase the use of B.C. food in Interior Health facilities.